ucia Lodge offers 10 updated cabins and rooms isolated on a cliff 300 feet above the ocean. Guests enjoy a view overlooking a natural bay extending to a breathtaking vista of the south coast. Some rooms face landward, taking in the striking Santa Lucia Mountains, named after St. Lucy by Spanish explorer Sebastian Vizcaino in 1602. 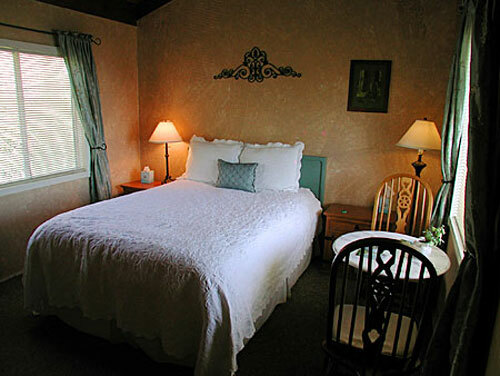 The accommodations are rustic in nature and offer neither telephones nor television. Rather, guests are treated to a romantic setting amid ever-changing seascapes and views of majestic mountains. It is not uncommon to see passing whales, sea otters playing in giant kelp beds, and soaring birds. The ever-present sound of breaking waves is both exhilarating and at the same time relaxing. Three styles of cabins are available as outlined below. 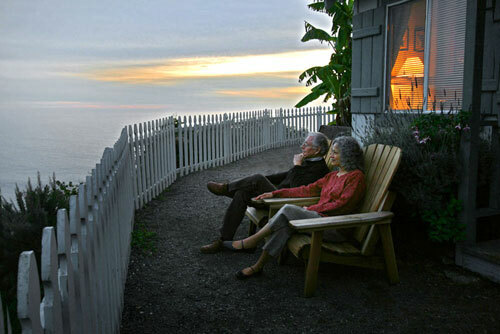 A sitting area at the edge of the cliff offers all guests a splendid view of the ocean directly below. There is a picnic area located just below the cabins at the edge of the cliff. A short walk up the road brings you the restaurant, store, gift shop, additional picnicking area, and plenty of open space by the ocean to stroll through. There are four freestanding cabins located near the edge of the cliffs. These are the original accommodations built by the Harlan’s in the 1930's. The cabin closest to the edge of the cliff (cabin 10) is a larger accomodation with bay windows looking right over the water. It is known as the honeymoon cottage (pictured below). Each of these cabins have gas fireplaces and four-poster queen-size bed. These cabins offer the most spectacular views of the ocean, as well as an historic feel. At the other end of the lodge there are four standard rooms located closer to the mountains. 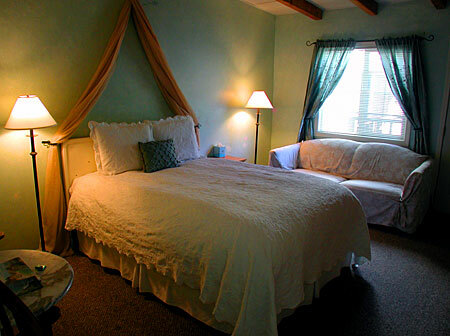 Each of these rooms has a pillow-top queen-size bed with Hypo Allergenic comforter. Rooms 1-3 also have an ocean view, but are set back further from the cliff. 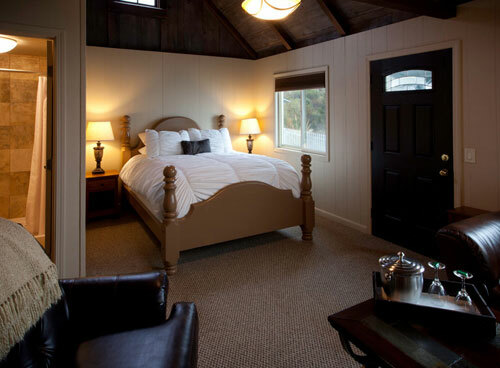 At the mid-point of the lodge are the two most modern rooms. 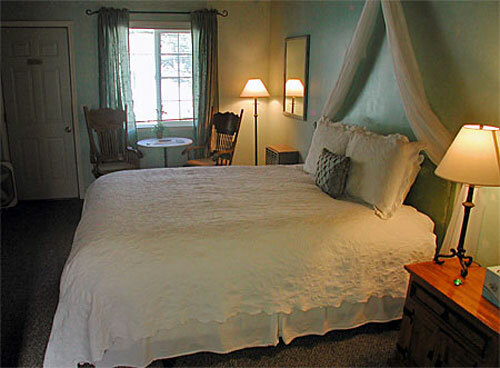 These rooms are larger and also have a pillow-top queen-size bed with Hypo Allergenic comforter. 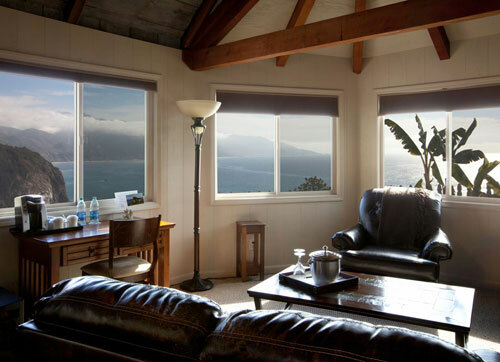 These rooms do not face the ocean but they have a spectacular view of the Santa Lucia Mountains.